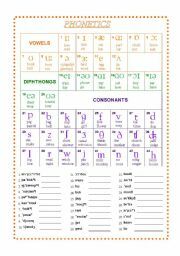 With this worksheet students can learn phonetics. At first there is a summary about the phonetic system in English. 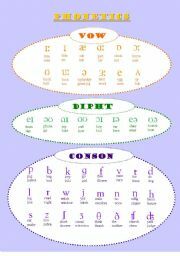 Vowels, consonants and diphthongs are shown with different colours to make them easier. There are also 30 phonetic transcriptions which students can practise with. 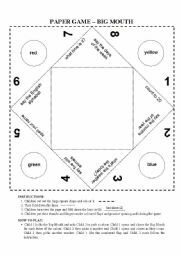 Paper game (the instructions are in the worksheet).Game which combines handicrafts and speaking. 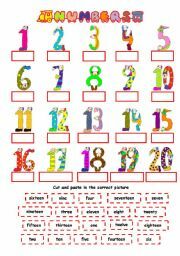 With this game children can review different vocabulary and expressions such as the days of the week, the months of the year, the weather, the alphabet, spelling, numbers, animals and colours. 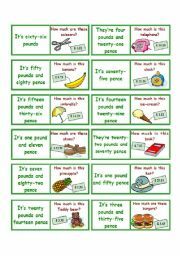 36 cards to practise speaking by playing taboo. 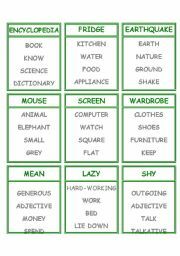 It contents general and environment vocabulary. 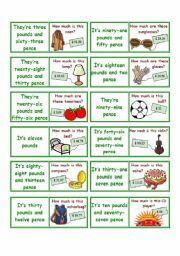 I hope it´s useful! A simple summary of the English phonetic system. It can be used as a poster or as a reference sheet. 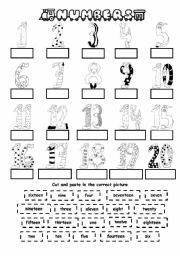 Vowels, diphthongs and consonants are divided by colours.In the worksheet preview it is seen a bit odd but if you download it, it´s perfect. I hope you´ll find it useful! Colour and B&W version and key included. 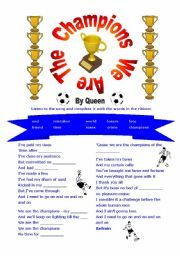 It´s a very simple worksheet with the Queen´s song "We Are The Champions" with ten gaps to fill in. 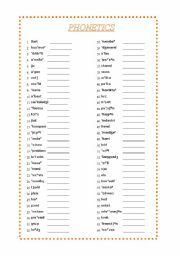 With this worksheet students can practice phonetics. There are given some phonetic transcriptions and they should write the corresponding words.